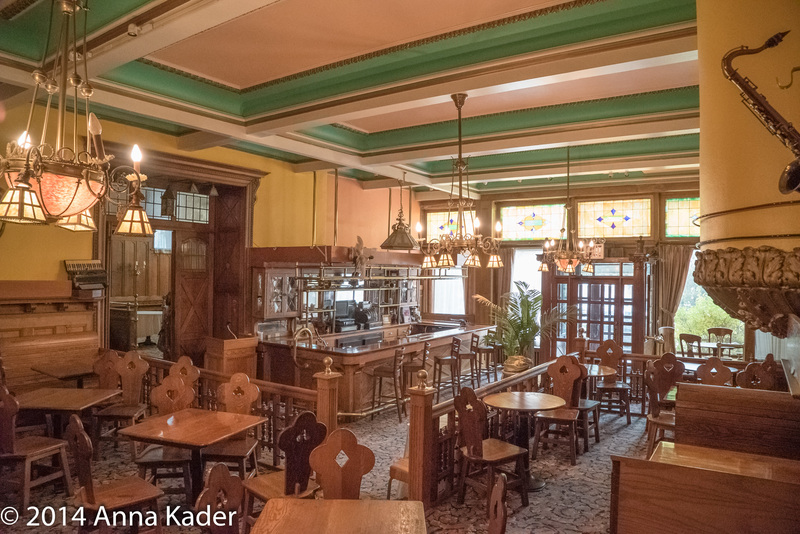 The Grand Prospect Hall was built in 1892 by developer John Kolle who hired architect Ulrich J. Huberty to create this magnificent 4 story, French Renaissance style building. 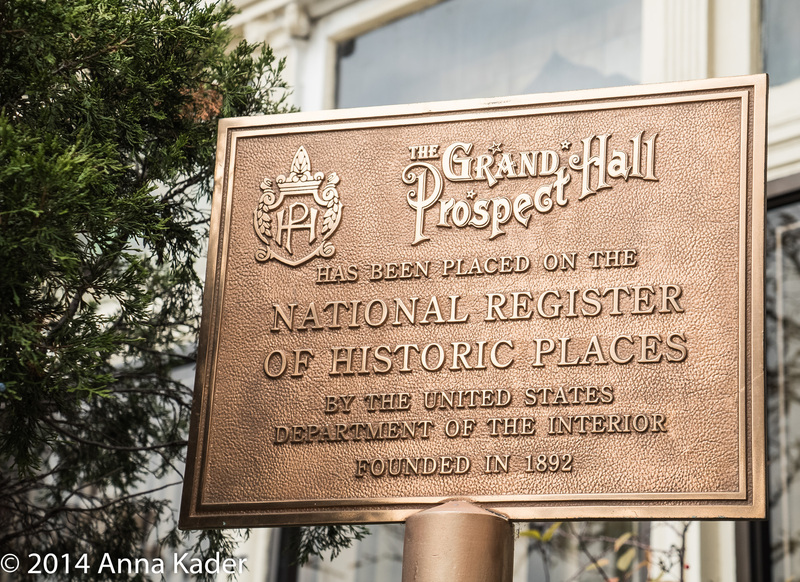 The Grand Prospect Hall was the first electrified commercial building in Brooklyn. 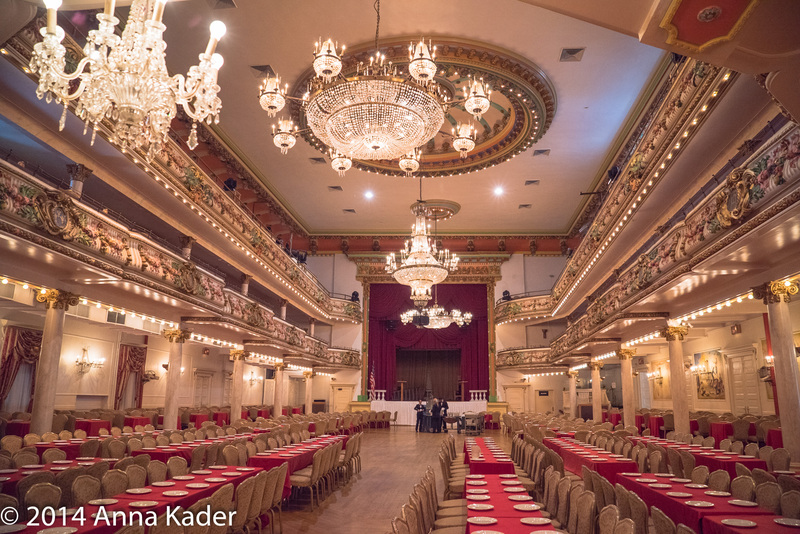 Originally a Ballroom and Concert Hall, The Grand Prospect Hall was a gathering place for the elite. Opera great Enrico Caruso once performed there. 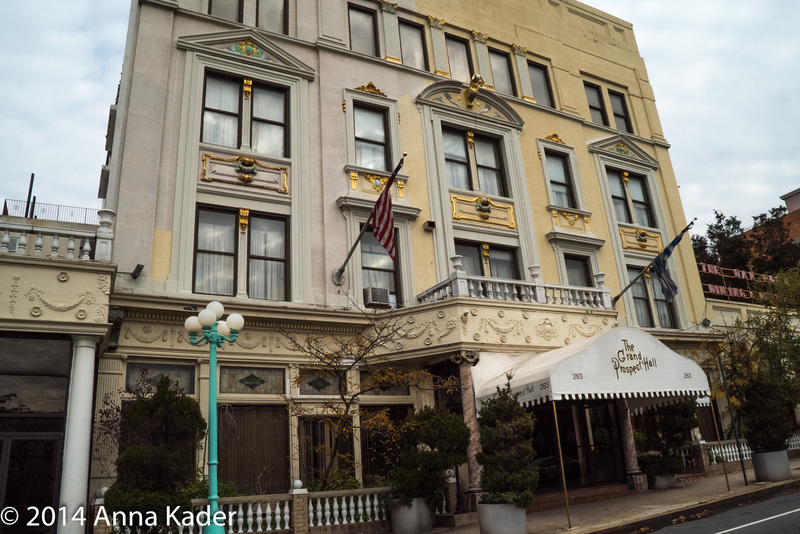 Other famous and infamous people who visited The Grand Prospect Hall were "Scarface" Al Capone, Mae West, Ginger Rogers, Fred Astaire, Lena Horne, Gregory Hines, Francis Ford Coppola, Jack Nicholson, Angelica Huston, Cyndi Lauper and many more. 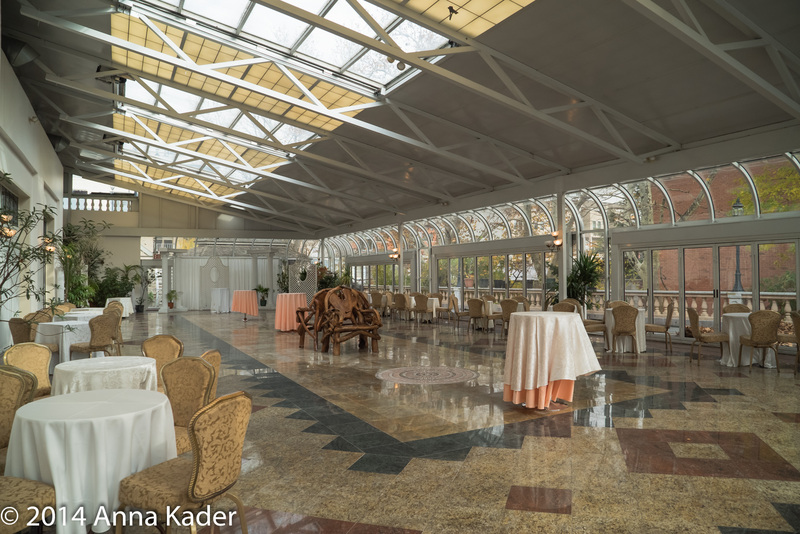 The 140,000 square foot building originally had bowling alleys, a billiard room, a speakeasy, a German style oak paneled beer hall, meeting areas, an open air roof garden, a 40 foot high ballroom, 70 feet wide and 125 feet long. The current owners of The Grand Prospect Hall Michael and Alice Halkias have lovingly restored the building after it had fallen into disrepair over 20 years ago. Today, on a busy week there are up to 20 events going on, such as concerts, office parties, corporate events, weddings and there will be a New Year's Eve celebration in the Majestic Victorian Grand Ballroom. The evening will be complete with a cocktail reception, 5 course dinner, open bar and viennese dessert trays. There will be noise makers, top hats, party favors, music, dancing, The Prospect Follies floor show and a spectacular light show! For more information on historic and fun places to visit in Brooklyn call us at 718-375-2065. If you or someone you know is planning to sell their Brooklyn property, whether residential, commercial, multi family, mixed use or investment call our office. You will be very happy that you did.